While admittedly we might have exaggerated some in this comic, I bet some of you might be able to relate to this one. 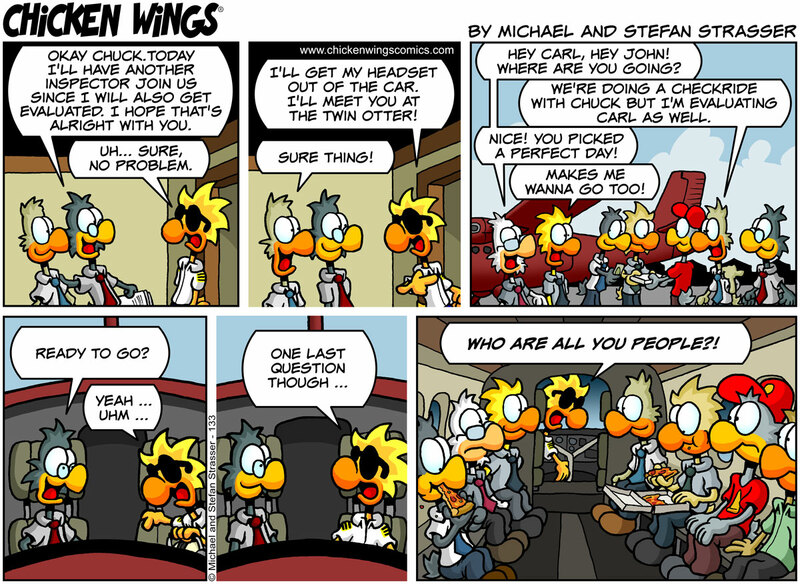 Anyone who has ever done a checkride while the examiner himself is getting observed at the same time knows what I am talking about here with this comic. The company I used to work for had the FAA FSDO almost literally across the street from our location at the airport. We often joked that we had way more “observations” during the pleasant spring and summer months when the weather was nice and they all needed to get out of the office. 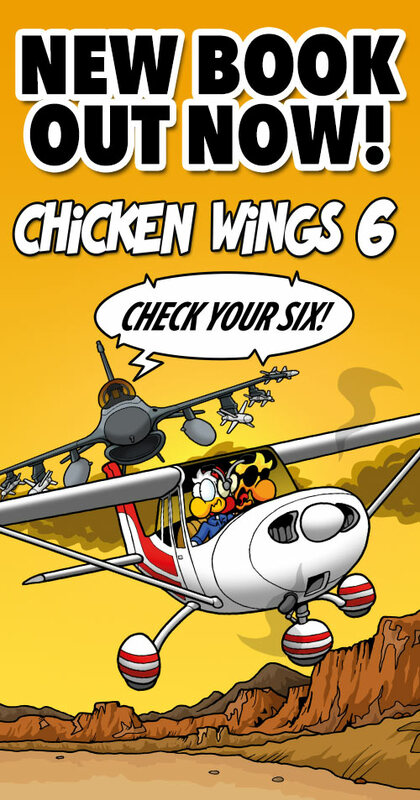 My least favorite checkrides were the ones when a brand new FAA inspector gets observed by a semi new inspector. Boy, do they go exactly by the book and did those checkrides drag on forever!! The guy needs to impress his new government employer I guess. At my current job, those helicopters are based out in Montana and almost all of our checkrides are in March. So the preflight questions and questions about the components of the aircraft are usually fairly brief when it’s below freezing with the wind blowing at 15 knots plus all morning, HAHA. I don’t know if it works this way everywhere, but where I did my flight training, if the person evaluating your flight test had to get an evaluation done themselves, you got your ride for free (it was 120$ otherwise). So we would intentionally time our rides to coincide with their evaluations to save a couple bucks. When I was flying night freight in the BE-18, I used to get my check ride from Chicago FSDO in Jan. One time it was -20F, with 25K wind. I had to leave the oral portion of test twice to go start the engines to keep them warm. The check ride was brief that time – the heater wasnt working, which was normal. The best flying weather in southeastern Alaska was always around May/June. That’s also when the salmon are going upstream to lay their eggs (i.e., when the salmon are ‘running’), so salmon fishing at that time is a big deal. Guess when the inspectors from the Lesser 48 states always showed up (especially the USAF’s Inspector General). We worked 12+ hour days for the inspections, whilst the inspectors did their work, then went fishing :-(j. @ThisGuy, I guess that’s because Chuck is flying with (at least) two experienced pilots on board, and one of them is sitting in the cockpit next to him. I’d feel quite safe too as a passenger. @Andrew, well yes, but still. It’s Chuck we’re talking about here.